When my boys were small, their Christmas wish lists were as long as their arms. They’d whip through the Target toy catalog at a crazy pace, circling things on almost every page, and then eagerly hand it to us with big, hopeful eyes. Buying presents for them at that age was not only easy, but fun. Cut to the teenage years, and surprisingly, they don’t want much. If anything. In fact, both boys shrugged when asked what they wanted this year, and I had to hound them to text their Grandma at least a couple of ideas. We just bought my 13-year old son, Jack, tickets to see his favorite basketball team, the Oklahoma Thunder, play the Dallas Mavericks. The game isn’t until March, but he’ll have the fun of anticipating it until then. (I hope.) Check out any major league teams in your area, and if you don’t have any, college and farm teams are also a great option. Most parents pay for some amount of lessons throughout the year, but the cost can be prohibitive. 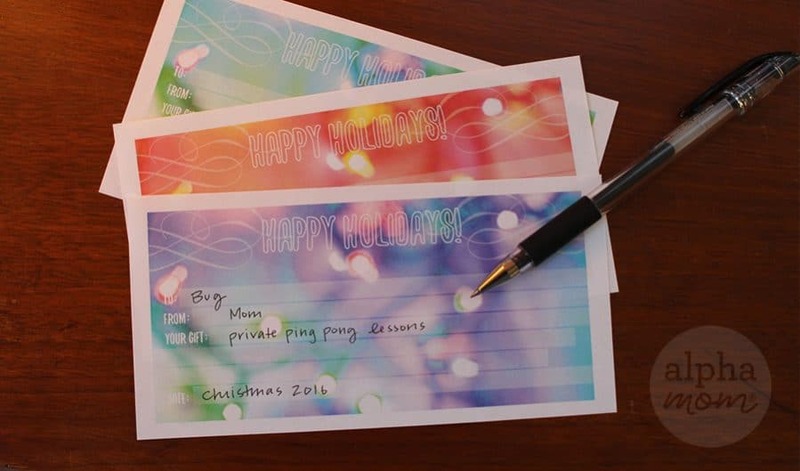 My 15-year-old son, Sam, really wants private tennis lessons, so we’re giving him a set (at $100 a pop where we live; pricing varies) as his main gift this year. If your kid has always wanted to try something new, like skating or archery, this is also a good way to get them started. Groupon, Living Social and similar deal/coupon websites are the perfect place to find local interactive experiences for your kids. Jack loved the Escape Room outing we gave him last year so much that I just bought another one to give him. You can find deals on theses sites for activities your kids like, and some you didn’t even know existed (hello, cow milking). Or buy a Groupon Giftcard and let your kids pick out something that strikes their fancy. Other interactive experiences that exist: scavenger hunts, ziplining, and museum tours (and/or attractions like Ripley’s Believe it or Not). Giving a gift card for an activity is not just a present, it’s a promise of fun in the future. Check out places like paint-your-own pottery studios, indoor skydiving, indoor race tracks, rock climbing gyms, etc. (many of which can be found on Groupon, as noted above). And if you’re feeling generous, make the gift card large enough that they’ll be able to take a friend TBD later. Cooking classes, guitar lessons, trapeze experience, DJ classes (very popular in NYC), rock climbing, laser tag, adventure amusement park outings to Schlitterbahn, Six Flags or Universal Orlando, hiking trips, a mani and pedi outing for teen and friends, paintball, “bubble soccer”–the list goes on and on. And while your teen may not give you the reaction you used to get when they were small and opened presents, you’ll still know they enjoy these experiences you give them. If not from their smiles and hugs, then at least from what they show their friends on Snapchat. Free Happy Holidays Gift Certificate Printable right here. 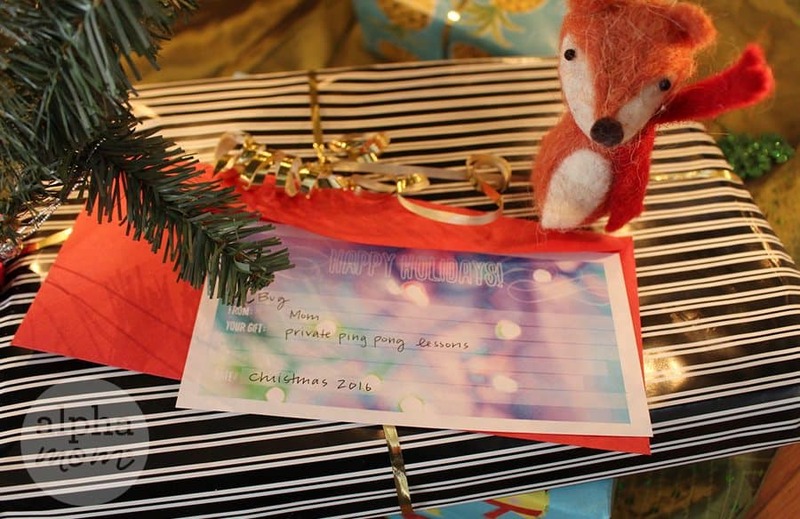 Just download, print, cut and put in an envelope or box to gift to your teen.